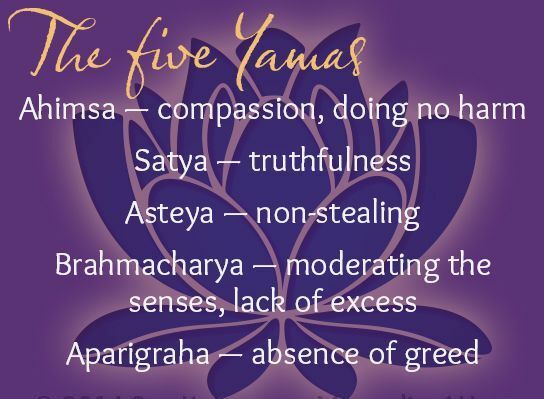 The yamas include both our internal cleanliness as well as our involvement within human society. 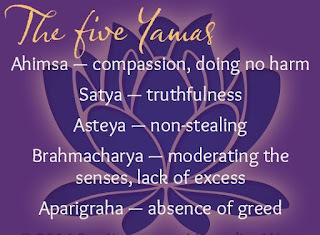 They are capable of creating a situation of harmony and peace in our interior world as well as in our relationship with samasrsapeksa, our surroundings, or society. In cultivating a favorable situation, one cannot ignore our relationship with the social environment. Satya means "to speak the truth," yet it is not always desirable to speak the truth on all occasions, for it could harm someone unnecessarily. We have to consider what we say, how we say it, and in what way it could affect others. If speaking the truth has negative consequences for another, then it is better to say nothing. Satya should never come into conflict with our efforts to behave with ahimsa. This precept is based on the understanding that honest communication and action form the bedrock of any healthy relationship, community, or government, and that deliberate deception, exaggerations, and mistruths harm others."